rave7 has a donation management module perfect for any organization that needs to manage donations. 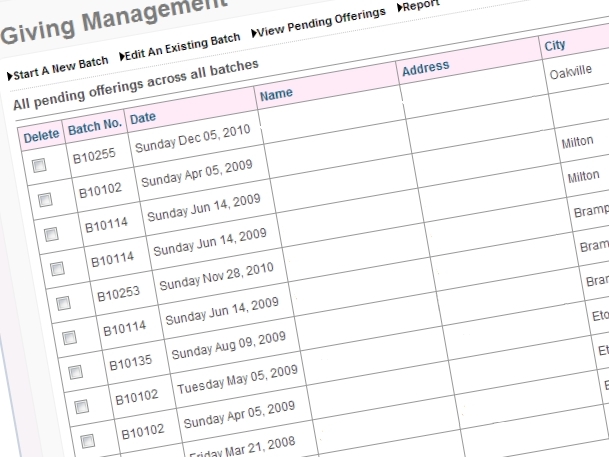 The system allows you to quickly enter batch totals and details so that your entries always balance. You can also view/edit existing open batches, get reports and print tax receipts at the end of the year.